Now available for your mobile device! 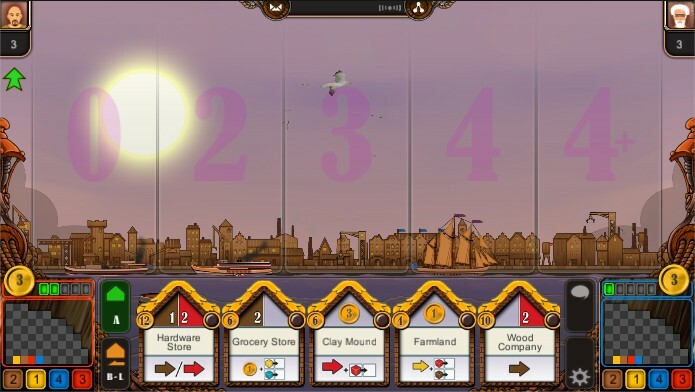 The licensed port of the prized two person board game (2013 nominated for Golden Geek Best 2-player board game, 2013 nominated for International Gamers Award – Strategy games: 2-player board games and winner of the International Gamers Award – strategy games: 2-player board games) of cult author Uwe Rosenberg (Agricola, Bohnanza) is available for your smartphone and tablet since 10th of November 2015! 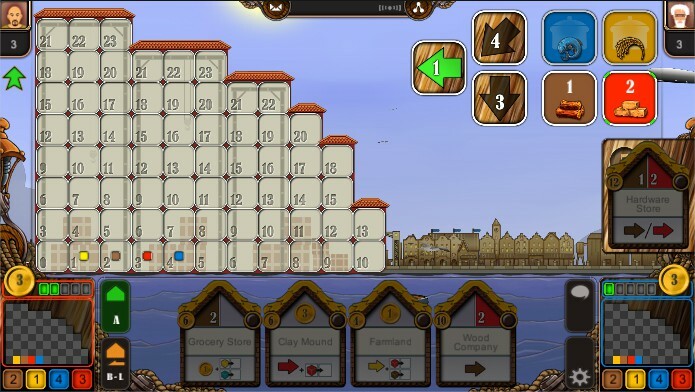 Buy and use 31 different buildings, maximize your winnings and look out for your opponents plans. Use all buildings to your best advantage and be the richest player after 12 rounds. 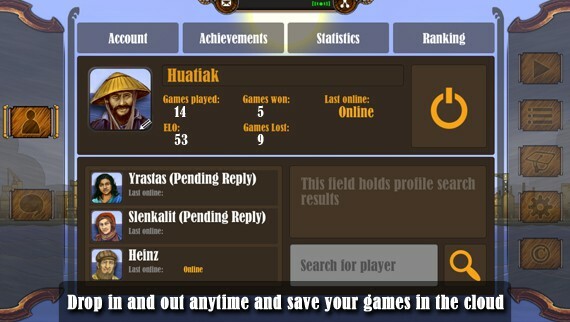 You can play hot seat with two players on one device or use our comfortable matchmaking service to find players of your level. You can also challenge one of the computer opponents with different difficulty settings. Friends and a world wide ranking list are also included.